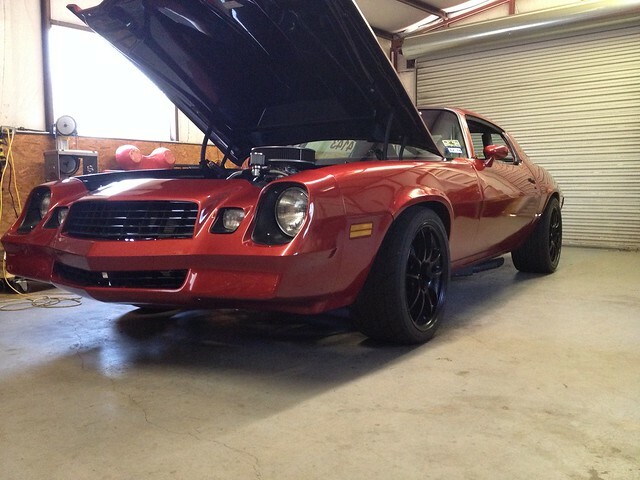 Here we go with part 2 of our Summer 2015 update on the Camaro – check out part 1 here if you missed it. 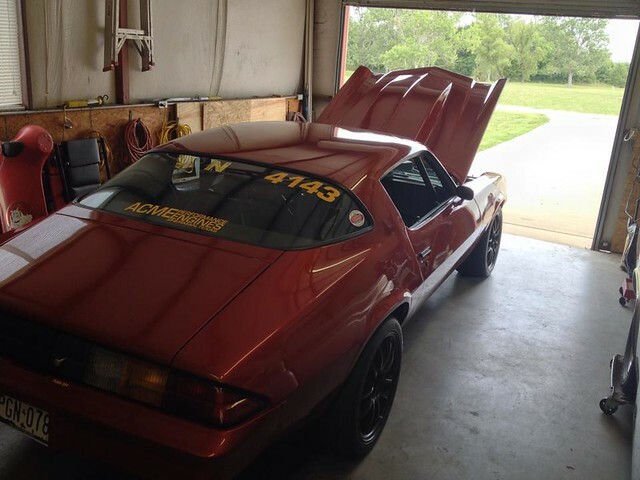 SCCA Event #3 – Happy Father’s Day! The first trip out with the new gears was fun, but kind of a mixed bag. We had some competition in CAM-T this time around, which was cool. 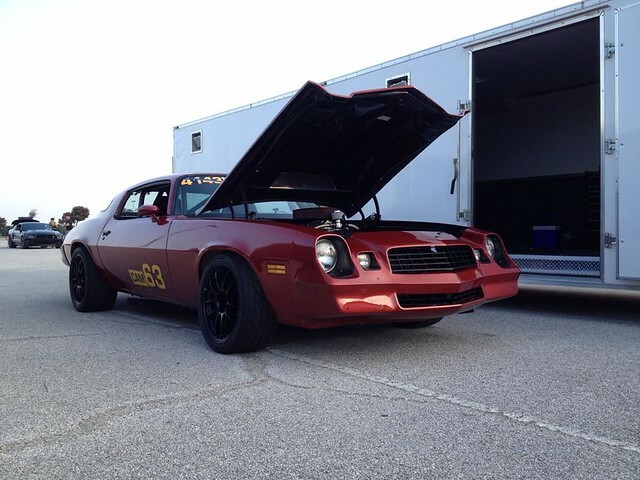 The 4 car field consisted of us, a 68 Camaro prepped by Dusold Designs and packed to the gills with go-fast parts, a Falcon, and a Model T (this class is really kind of confusing when you break it down!). 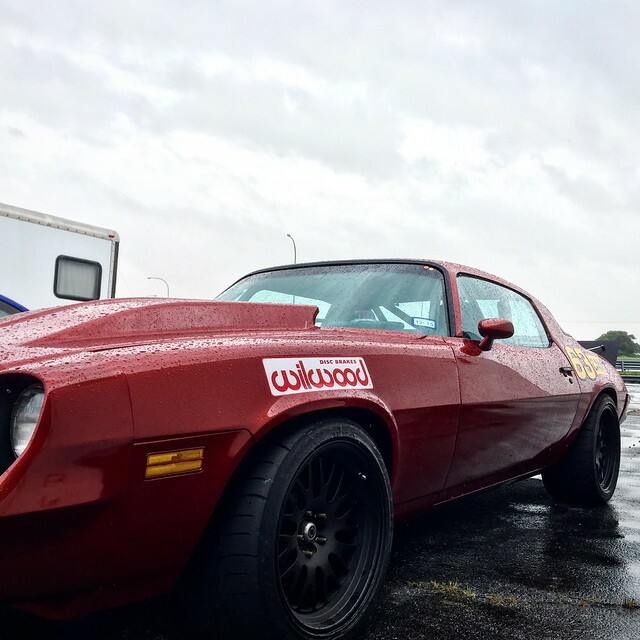 The Camaro got the luck of the draw on run groups, and getting pretty much a fully dry session between showers, while Paul’s session in the Z was wiped out by lightning and heavy rain. 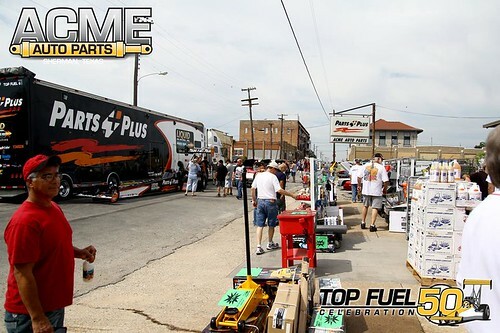 A quick note before we get started – the Optima Ultimate Street Car shows for this season start August 28th on MAV TV! 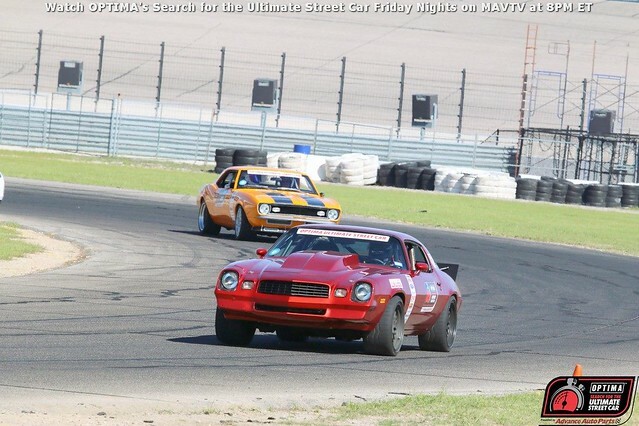 We’re counting the days, and hoping to get some TV time with the little red beastie in the Texas episode. Keep an eye out for it, and we’ll definitely post an update. Speaking of Optima..
Let’s start this by repeating what I started with yesterday in the Day 1 Recap: get your car ready, and do one of these events! You will have fun, you will learn how to be a better driver, and you will do more with your car than you ever thought possible. Now, on to day 2: the Falken Tire hot lap challenge, on the 1.1 mile, 7-turn road course. Sunday may have been our most anticipated and unsure part of the weekend. I was anxious to get some track time in the car, but also a bit leery of how well the relatively puny 12-inch Wilwood brakes would hold up. I was also unsure of what the relatively small road course in the infield of TMS would be like, particularly after running at the most epic 2.9 mile Texas World Speedway last month. Where to even start? 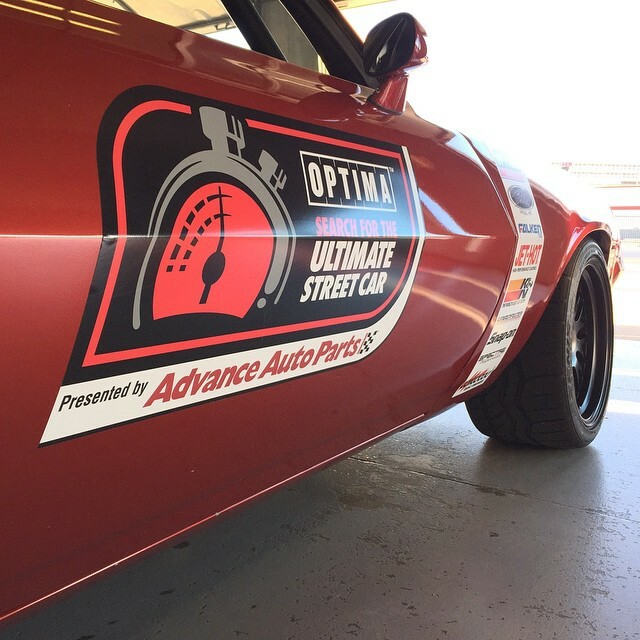 First of all, if there’s an Optima USCA event in your area, and you’re on the fence about going – GET OFF THE FENCE! Everything about this weekend was just fantastic, from the operation to the attitude and helpfulness of all involved both within USCA and the participants, it’s one of the most fun experiences we’ve ever had with the car. Ok, with that out of the way, how did things go? We couldn’t be happier with the results. Let’s start with Saturday today, and wrap up Sunday in a second post (there’s kind of a lot to cover). We arrived at the crack of dawn. Well, before the crack. Way before. The schedule to said to arrive no later than 7, and that turned out to mean that gates would open at 7 (live and learn, better early than late, etc.) Once in the gates, we scrambled to get the truck parked, the car unloaded and into the garage, and soon we were off to tech inspection. Where were we? Right, quiet exhaust, new tires, some suspension adjustments, and new brakes were all in place – it was finally time to go make some noise! 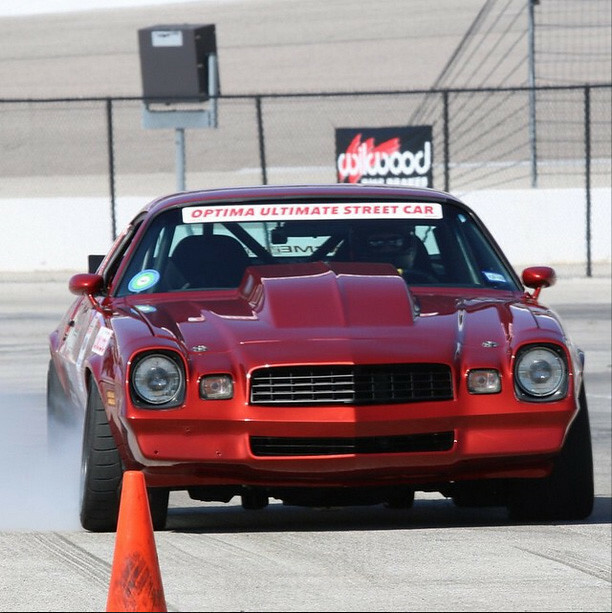 Our schedule for the first part of the year was relatively simple, and aimed at one goal: the Optima Ultimate Street Car event at TMS March 28th and 29th. First up was Equipe Rapide’s first event of the year in February. 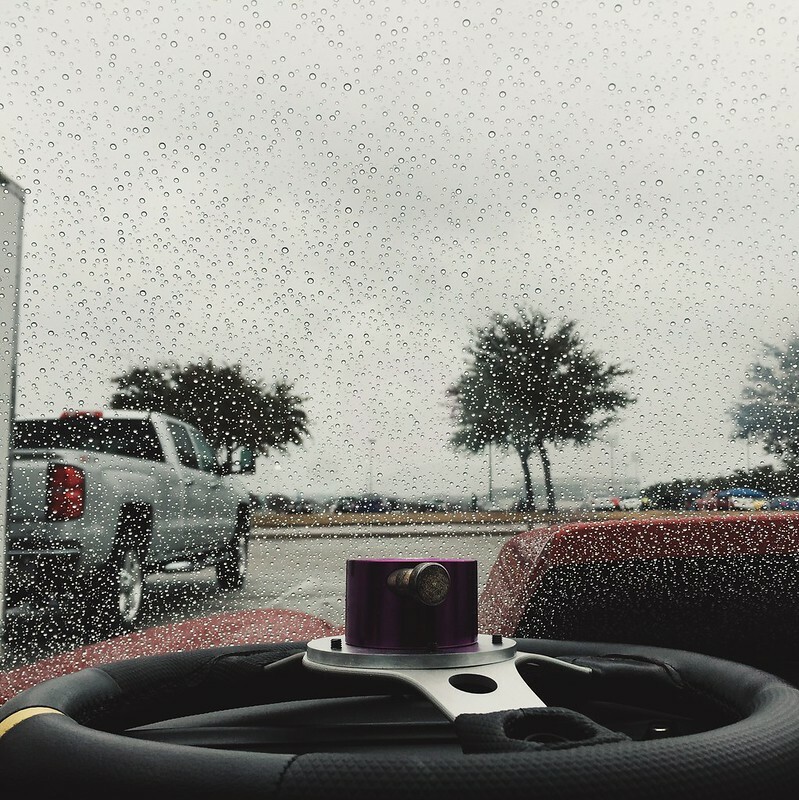 The forecast was hit or miss all week, and as we got closer it was apparent that we would need some luck on the run order to get a dry session (as we all know, the best way to ensure perfect weather is to leave the car at home). Sure enough, our luck held true to form and we drew last group, which fell during the heaviest rain of the day. There’s a ton of other possibilities, but with other projects and the holidays combining with the relatively short Texas offseason, this seemed like an achievable list. Did we get everything done? 50 Great Years – 1 Awesome Party! We opened our doors 50 years ago, in 1964, and we decided we needed to do a bit of celebrating. We invited you out, and you came through big time this past Saturday, helping us throw the fastest party Downtown Sherman has ever seen! Clay Millican was on hand signing autographs and showing off his bad hot rod, our awesome Parts Plus partners W M Automotive warehouse came out with a parking lot full of tools, Wix Filters brought a truckload of giveaways that included some awesome Richard Petty Driving Experience passes, and a number of our awesome customers came with their beautiful cars. 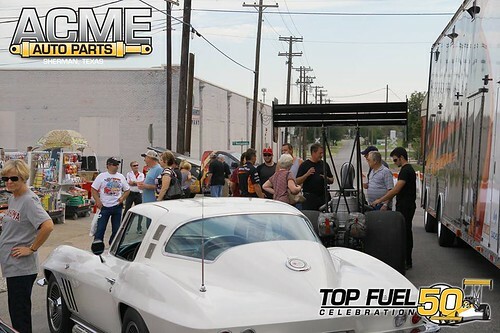 It was a day we will never forget, and we want to thank everyone that has played a part in the 50 year history of Acme Auto Parts for making it possible! Well, 5 years and change after getting it on the road for the first time, we’re officially registered for its first autocross this Sunday. The nature of the thrash being what it is, there aren’t many pictures of the work. Luckily, a thousand words is worth a picture, so read on to see what we did. So what’s new with the Camaro? Not a whole lot, actually. We’re currently in the midst of some time-space issues with our transmission order (currently 2 months into a 4-5 week delivery estimate), but we’re finding ways to pass the time as the weather gets better. With the shop car in pieces (and too new for the ‘Thaw) we took the truck out for some straight line fun. The stated goal of the trip was to go and have a good time – let it run what it runs, not work on it, and most importantly not get pissed if things didn’t go quite as planned.